April | 2015 | Reserve Result. Tangerine. Trailer. James Ransone. Kitana Kiki Rodriguez. Mya Taylor. Sean Baker. It’s Christmas Eve in Tinseltown and Sin-Dee [Kitana Kiki Rodriguez] is back on the block. Upon hearing that her pimp boyfriend [James Ransone] hasn’t been faithful during the 28 days she was locked up, the working girl and her best friend, Alexandra [Mya Taylor], embark on a mission to get to the bottom of the scandalous rumor. Their rip-roaring odyssey leads them through various subcultures of Los Angeles, including an Armenian family dealing with their own repercussions of infidelity. Director Sean Baker’s prior films [STARLET, PRINCE OF BROADWAY] brought rich texture and intimate detail to worlds seldom seen on film. TANGERINE follows suit, bursting off the screen with energy and style. A decidedly modern Christmas tale told on the streets of Los Angeles, TANGERINE defies expectation at every turn. SEE YOU AT THE TOP. Known Gallery. The Seventh Letter. 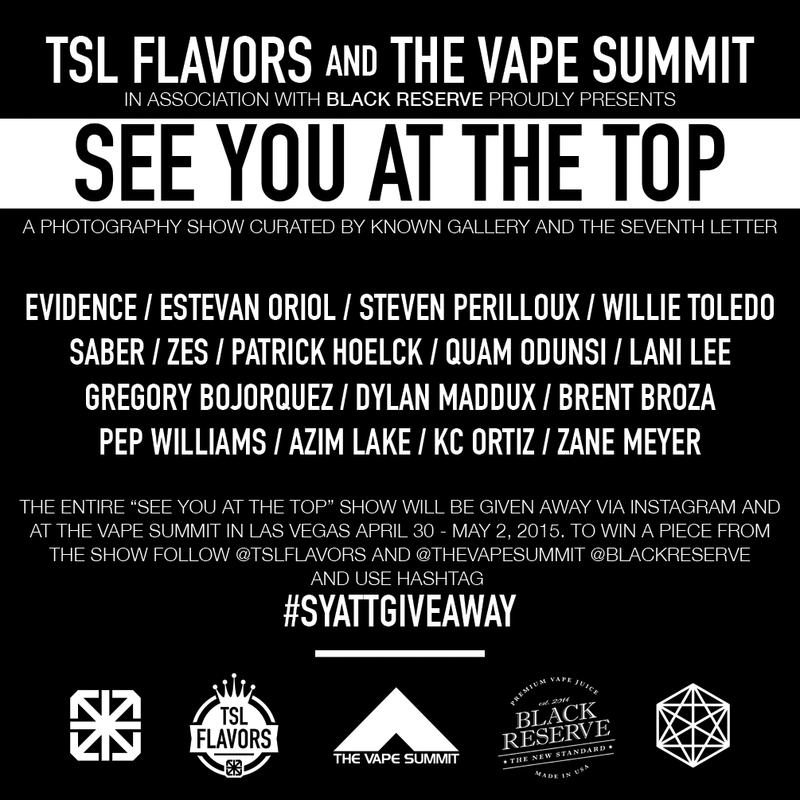 The Vape Summit. Thursday, April 30 – Saturday, May 02. What Happened, Miss Simone? Trailer. Liz Garbus. A classically trained musical genius, chart-topping chanteuse, and Black Power icon, Nina Simone is one of the most influential, beloved, provocative, and least understood artists of our time. On stage, she was known for utterly free, rapturous performances, earning her the epithet “High Priestess of Soul.” But amid the violent, day-to-day fight for civil rights, she struggled to reconcile artistic ambition with her fierce devotion to a movement. Director Liz Garbus sensitively explores the constant state of opposition that trapped and tortured Simone—as a classical pianist pigeonholed in jazz, as a professional boxed in by family life, as a black woman in racist America—and in so doing, reveals a towering figure transcending categorization and her times. The film stays true to Simone’s subjectivity by mining never-before-heard tapes, rare archival footage, and interviews with close friends and family. Charting Simone’s musical inventiveness alongside the arc of her Jim Crow childhood, defining role in the Civil Rights Movement, arrival at Carnegie Hall, self-imposed exile in Liberia, and solitary life in France, this astonishingly intimate yet epic portrait becomes a non-fiction musical—lush tracks and riveting story resonating inextricably. Partisan. Trailer. Ariel Kleiman. Vincent Cassel. Nigel Barber. Jeremy Chabriel. Alexander is like any other kid: playful, curious and naive. He is also a trained assassin. Raised in a hidden paradise on the outskirts of town, Alexander has grown up seeing the world through the eyes of his father, Gregori. As Alexander begins to think for himself, creeping fears take shape and Gregori’s idyllic world unravels. Batman v Superman: Dawn of Justice. Teaser Trailer. Rihanna – American Oxygen. Music Video. Darren Craig. The new Rihanna music video – American Oxygen – was directed byDarren Craig. Aloft. Trailer. Jennifer Connelly. Cillian Murphy. Mélanie Laurent. Claudia Llosa. As a boy, Ivan’s mother, Nana, desperately seeks treatment to cure her youngest son, Gully, who has a terminal illness. Ivan, often scolded for not supporting his brother, retreats to falconry. When Nana follows a healing guru, the Architect, and Ivan’s falcon destroys his restorative tent of twigs, Nana discovers that she also has the healing touch. Encouraged by the Architect, she starts treating other people’s children, ultimately leading to a devastating consequence. Flashing forward, Ivan has his own family and continues to raise falcons. When a French documentary filmmaker comes to him with information about his mother’s now ample following, Ivan decides to accompany the woman on a trek to the Arctic Circle to reunite with his mother.